For today’s deals roundup, we covered the best deals on Amazon. The list contains gadgets from brands like HP, Ambrane, Samsung and more. 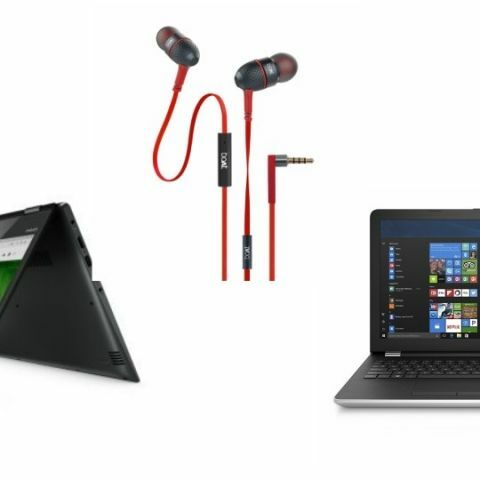 If you’re thinking of purchasing a smartphone or laptop today, then we have found some pretty interesting deals on Amazon that you should look forward to. This list consists of products like Smartphone, Laptop, and even a power bank. The gadgets in the list are from manufacturers like HP, Samsung, Ambrane and more. The HP 15.6-inch BU105TX sports a full HD display with a resolution of 1920x1080 pixels. The laptop is backed by an 8th Gen Intel Core i5-8250U processor, which is paired with 8GB DDR4 RAM and 1TB of internal storage. The HP claims that the laptop can be charged up to 90 percent within 90 minutes when the system is off. You can purchase this laptop here. The Samsung Galaxy A6 Plus comes with Android Oreo 8.0 and is powered by a 1.8GHz Qualcomm Snapdragon 450 octa-core processor. The device is equipped with 4GB RAM and 64GB of internal memory. When it comes to the camera, it has a 16MP + 5MP dual-rear camera setup at the back, and 24MP sensor at the front. You can purchase this device here. The boAt Bass Heads 225 in-ear headphones feature a tangle-free flat cable and weigh around 18.1g. The device comes with a noise-canceling microphone that lets users receive & make calls without worrying much about outside noises. The headphone sports a powerful 10mm dynamic drivers and has an impedance of 16 ohms. You can purchase this device here. The Lenovo Yoga 520 is different from your traditional laptop, in the fact that it features a 360-degree hinge that lets you shift from laptop to tablet mode as per your preference. The yoga 520 packs an Intel I3-7100U (H) 7th Gen processor with 4GB DDR4 RAM and a 1TB hard drive. You can purchase this device here. The Ambrane PQ-800 8000mAh power bank is protected from short-circuits, over-charge, over-discharge and output over-current. The company also claims that the power bank can charge your smartphone faster than your regular charging device. You can purchase this device here. Best Power Banks to charge 1500mAh batteries? Is there a category on your website which directs us to the articles on top of some pages in the magazine?